It is indisputable that the wireless network technology made a big impact in our lives nowadays. In this fast paced and high-tech generation, most people prefer to do things comfortably. The innovation of Wi-Fi (Wireless Fidelity) technology has made people lives easier. 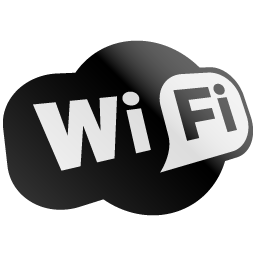 With Wi-Fi network connection available on your portable devices such as iPhone, iPad, Android, Tablets, or Laptops, you can get connected to the Internet “On the Go”. It’s pretty obvious it has been a trend these days. Wherever you go, Wifi are widely used by countless of people worldwide; however, what if one day you noticed that that wifi Internet speed isn’t as reliably fast as it should be? Or, you few of your computers or laptops at home lost the wifi connection? These situations can be very frustrating especially when you are in the middle of working on something on your wireless portable devices. 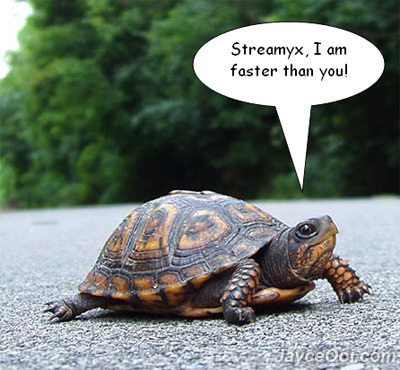 Experiencing slow Internet can be frustrating! Regardless of how powerful or what brand your wireless router is, its signal strength has limitation. The walls in your house or large objects may cause interference resulting to experiencing weak signals or sluggish Internet speed. It best to setup your router in the central part of your house or office to ensure you get better signals. Most routers sold have small antennas which were intended to be Omni –directional. This means that the wireless signals from the router are broadcasted around it. Its radio signals are equally transmitted; therefore, if a wired desktop pc and laptop is on one room of the house, you only get the radius length of signals. To get better wifi speed, you can replace its antenna to a better or high-gain antenna direct signals to your desired location. There are a few great high-gain antennas available on the stores. You might want to consider a Linksys brand. The secure and stress-free way to boost your wifi signal is to consider getting a wireless repeater. It does not require connecting any wires and easy to install. Wireless repeaters basically boost your wifi signal by relaying or repeating the router’s signal. Updating your computer’s network drivers and making sure that your router’s firmware is current will certainly improve the performance of your networking device, such as the router. Latest firmware updates for routers are often found on the router manufacturer’s website. Same goes with your network drivers on your desktop or laptop. Oftentimes, hardware manufacturers make certain changes to their products for better performance. These updates are usually free. Wireless routers are capable of broadcasting several diverse channels, comparable to the method radio stations use. Therefore, its signals are not stable which can erratic or intermittent wireless connection. You can try to change your wireless router’s channel to a better one. It can be changed through the configuration page of the router. Accessing the configuration page depends on the router brand. If you are not sure, you can search it online or much better on the router’s website. This entry was posted on June 7, 2011 by FB Gamer. It was filed under Computers, Interesting, Microsoft, Mobile Gadgets, Tech Tips, Wifi and was tagged with boost wifi, Data Communications, how to speed up wifi, Internet access, IPad, iPhone, Signal strength, slow internet, slow speed, speed up Internet, Wi-Fi, wifi network, Wireless, Wireless repeater, Wireless router. TechKisses.com’s server is currently updating….